Here is the village of Rinckenstadt, a small town on the river from St.Rudolf. This scene is made for a video which I am making of my first rail vehicle. It's working, with own sounds, cab and a small waggon. After learning a lot of tryal and error, I shall start a new 'real train' project. 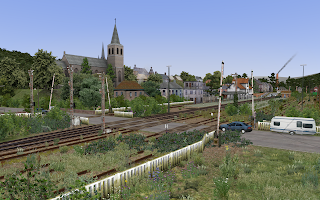 I already did some sound recording, next step is getting technical details of the train,etc.. 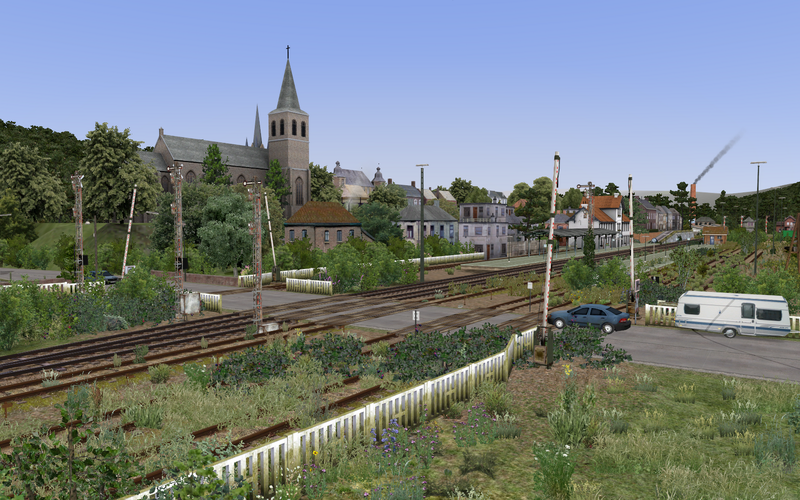 Objects in this scene are partly from my upcoming route, the railvehicle will be published with some new objects as freeware. Great German rolling stock for free!